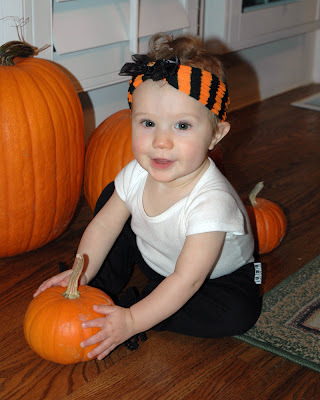 For Ava's first Halloween we decided to carve some jack-o-lanterns. 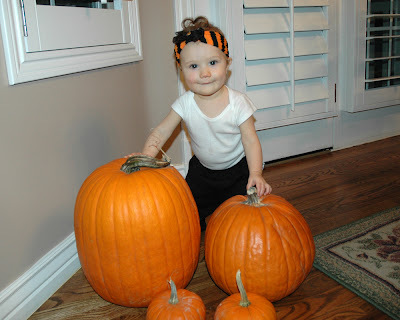 Here is Ava with the pre-carved pumpkins. Daddy Pumpkin was provided by Granny O and Freddy O, straight from their backyard pumpkin patch. 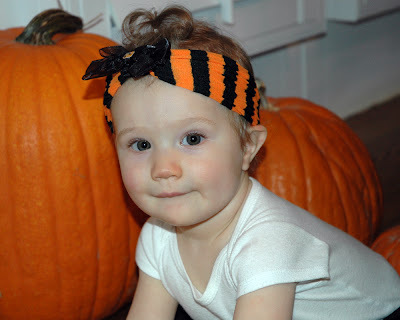 Mommy Pumpkin was given to us by Uncle Ryan and Aunt Kelly. We also had two baby pumpkins. 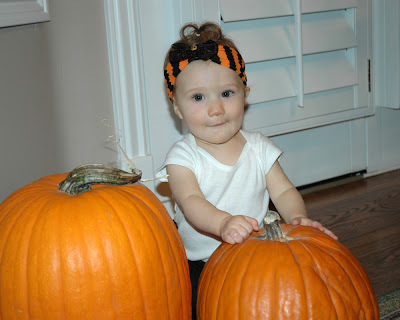 So, we let Ava pick which one would be Ava Pumpkin. Ava was too young to help out, so she sat in her highchair while we did all the work (typical). They look just like us, huh? 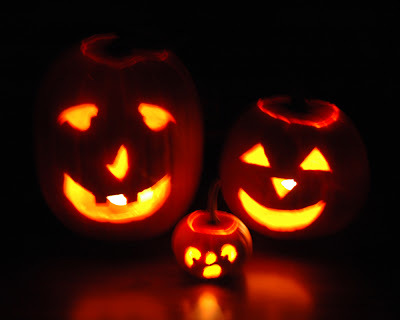 I can totally see Larry in the "daddy pumpkin"...ha ha ha :) Just kidding!! They are very cute though...I'm sure Ava really enjoyed watching!!! Looks like you guys had fun!! !